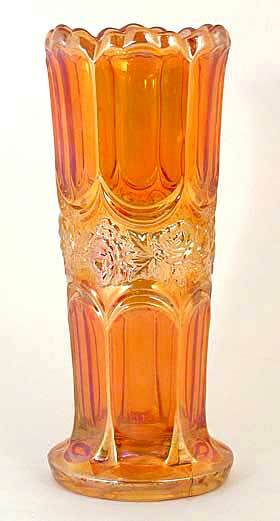 A scarce little vase, found in marigold in a 7.5-inch size (shown), 6-inch size, and 4.5-inch size. The vase was made in Poland. 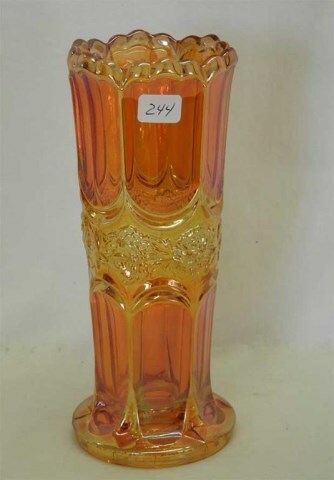 A 6-inch example sold on eBay in 2006 for $166; and a 7 1/2-inch example, also marigold, sold at live auction in 2007 for $235.